Self help is not all about the mind, our mind and body operate as one whole thing, and they both can have an effect on each other both positively and negatively. Therefore, because of the intricate, mind and body connection if you want a calm and efficient functioning mind, you will need a calm, well-balanced and healthy functioning body. One of the things that can disrupt the bodies natural, healthy and efficient functioning are the toxins that we breathe in or put into our body. We all know how beneficial it is for us to breathe in clean and pollutant free fresh air, and even if you're not lucky enough to work or spend long hours in the countryside, you can still enjoy some of the benefits that nature has provided us. Because, thanks to the Himalayan Salt Lamps, you are now able to reap some of the benefits of the outdoors and bring that refreshing, relaxing and healthy natural clean air into your home and work environment. Nearly everybody can benefit from a salt lamp, because we are all designed to breathe clean air. But, for those who suffer with conditions like asthma, allergies or many other illnesses, then it is even more important to try and improve the air quality that you have to live or work in. Because, your symptoms may begin to reduce with the aid of a Himalayan salt lamp, they may also benefit those who suffer with sinus issues. We all spend a large part of our lives in our homes and the pollutants that can be found in our houses or apartments can aggravate allergy type symptoms. Even if you do not suffer with any health issues, you can still benefit from installing Himalayan salt lamps in your home. We all know how better and more relaxed and energized, we feel when we are at one with nature, where we are relaxing by the sea or sitting next to water. The trouble is, many people work indoors, where they are often exposed to artificial lighting, heating and sometimes less than friendly air pollutants, viruses and dust. If you live in a built up area, then you may be exposed to even more air pollutants. You would think, that at least you were safe in the confinements of your own home. However, this is not always the case, and the Environment Protection Agency, says, that you can be exposed to a lot more pollutants on the inside, compared to the outside. Because you can still be exposed to things that can aggravate certain conditions or mildly affect your well-being, such as molds, dust mites, animal dander normal house old dusts, air fresheners, insect sprays, some cleaning products, appliances in the home and various other objects and sources. Some reports suggest, that household and work environment pollution can have serious effects on some people's health. There is a good reason, why we feel better when we are observing and experiencing nature, because, the air is filled with an abundance of negative ions. For most people, it can be difficult to reap the benefits of the countryside, and the time that they can spend in those relaxing and therapeutic natural nature spots can be restricted to the odd weekend or holiday. To add on top of all that, there are the long winter months, where many people are either confined to their homes or where they work. By nature we are naturally meant to spend time outdoors, breathing in the fresh air and absorbing these healthy negative ions. You might be thinking, if something is negative, how can that be good for us, because normally we associate positive as being good and negative as being bad. But in the case of ions, it is the opposite way around, so don't be put off by the idea of surrounding yourself with negative ions, as they are something that helps redress the balance of positive ions. Negative ions have a positive effect on the human body, and it is the positive ions that are believed to be more harmful. How you can mimic the clean environment of nature? There is a way, to reap the benefit of what nature can provide us, and the Himalayan Salt Shop has come up with a unique way of bringing the amazing benefits of nature into your own home. Imagine, having the benefits of clean air and the negative ions all year around, and without having to leave the comfort of your own home, especially in those cold winter evenings and days. The Himalayan Salt Lamp company, who make a range of traditional style salt lamps, says, that Heat from the bulb or flame in their candle holders causes the salt to emit the healthy negative ions. These negative ions then bond with the pollutants in the air (positive ions) and neutralize them. Also, the newly bonded ions become heavier and fall to the ground removing them from the air circulation. When you can produce high enough concentration levels of negative ions, they can help to clear the air of pollutants such as mold spores, pollen, the tiny pet or human scales of skin that float in the air, odors, cigarette smoke, dust and other harmful airborne particles and pollutants. But it is not just the normal household pollutants that are believed to have a negative effect on our general health. These days, the advancement of technology, can also have a negative effect on some people. Many electrical items and devices, especially wireless connections, are thought to produce the more harmful positive ions. The Himalayan Salt Lamp neutralizes the effects of the positive ions that are produced by devices such as computer monitors, TV's and other electrical devices. Negative ions help to keep us feeling refreshed and energized. The highest output and concentration of negative ions can be found in the places with natural clean air. This is why, in nature negative ions are produced in nature by thunderstorms, mountains, waterfalls and the ocean. That's why we feel refreshed and energized in these environments, especially around water and rain. Ideally, these are the places where you want to spend a lot of time, obviously, for most people, that is not possible. Although, you can't get the same amount of the healthy negative ions output from Himalayan salt lamps as you can in nature. The Himalayan lamps, which are the next best thing, mimic the same benefits, and they are especially beneficial, in winter months, because when you have all your windows shut, there is virtually no negative ions output in your home, which doesn't represent the ideal environment. You can also benefit from having a Himalayan Salt Lamp in the summer months, especially if you live near a busy road or a built up industrial area, because even if you have the windows open, it can let in the outside pollutants. The same applies if you work in an office or factory environment. "The invisible electromagnetic radiation resulting from the use of both wireless technology and mains electricity." Cordless phones. Cordless baby alarms. Mobile/cellular phone, or if you live close to, masts/towers/transmitters. Today, there are few households that don't have wireless devices, such as mobile phones, laptops and I pads. In addition, these negative ions combat electro-smog caused by electronic devices operating in the home. Symptoms from asthma, allergies, and other illnesses can begin to subside from the effects of these products, leaving you feeling better and able to breathe more easily. Concisely, the Himalayan salt lamps, helps to cleanse the air naturally and they are also an extremely beautiful, and relaxing device. If you work indoors or you spend a lot of time in your home, by making small changes in your environment can make a lot of difference to your health and well-being. Having flowers can help, but you can't beat fresh air. Mainly because of the fact that fresh air is full of negative ions which can leave you feeling refreshed and even help you to relax, so not only are the good for you, then can even help you feel less stressed. The big advantage of having a Himalayan salt lamp is, they can help you to mimic nature by first cleansing the air and then filling your air with the healthy negative ions. The Himalayan salt makes a great healthy gift and a pleasing alternative to the standard ornament that we often buy our families and friends, which often ends up on ebay or the local car boot sale. So you can give some an attractive looking gift that also has therapeutic benefits. They are also ideal if you have children, who these days spend so much time on mobile phones, gaming and other electrical devices. The young and the elderly can be particularly sensitive to air pollution in the home. If you have pets, then again, the Himalayan Salt Lamps, can help to neutralize any animal dander. 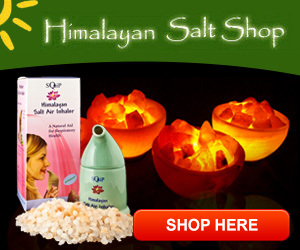 The Himalayan Salt that is used in the salt lamps are completely authentic, and it is mined from the foothills of the actual Himalayan Mountains at the superior Khewra mines in Pakistan which is regarded as the best and most favorable salt mines.